Selected Villas for rent near The Lava Lounge (Koh Samui) - Contact us now! Villa travellers wishing to escape the crowds of sweaty dancers and banging beats of jam-packed nightspots along Lamai Beach can seek refuge at Lava Lounge. Step into the lounge, and you will be charmed by its inviting and homey interiors, adorned with an array of quirky lava lamps. Soothing tunes play in the background, and the bartenders serve a selection of excellent drinks. 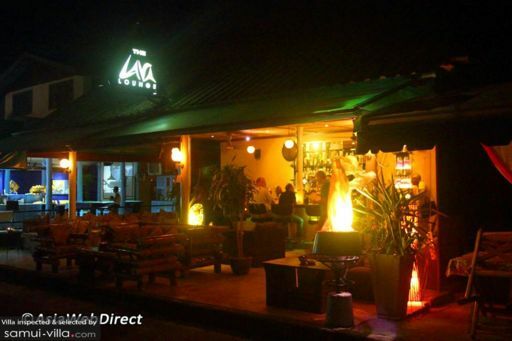 Without a doubt, the Lava Lounge is the place to be for laidback holidaymakers seeking a relaxing and enjoyable evening.